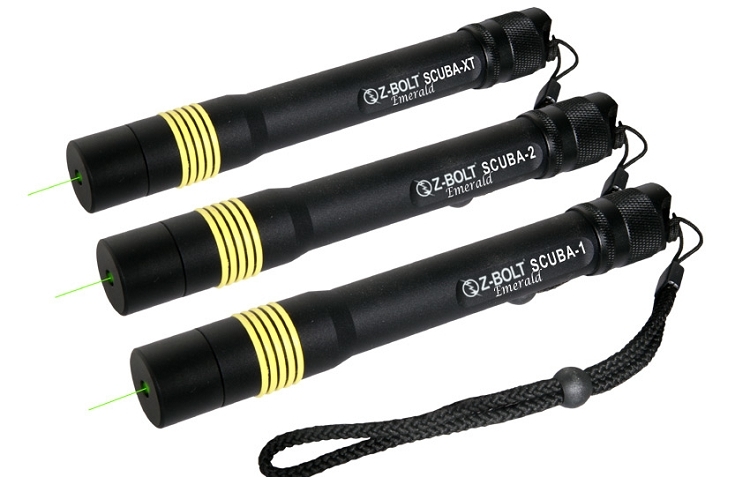 The SCUBA-XT green scuba laser is waterproof to 200 ft & features our 515nm low temp (14°) green laser. 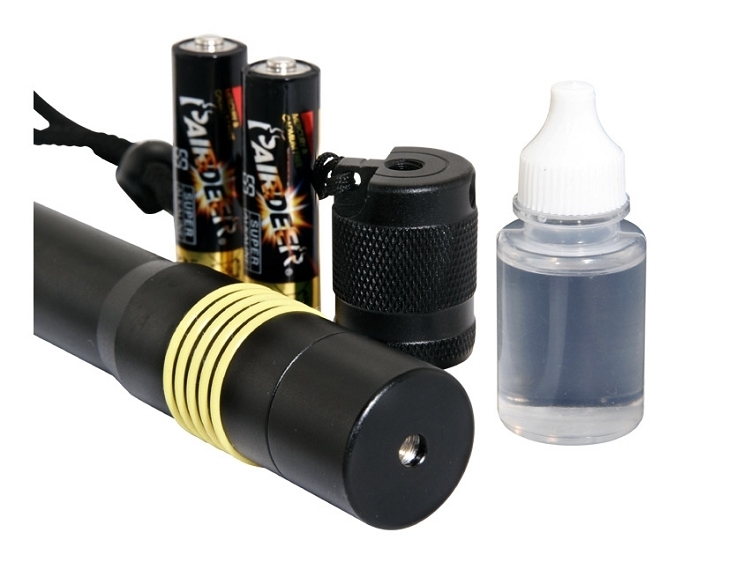 Includes free rope lanyard; bottle of oil to keep o-rings soft and pliant; 2 pcs AA batts. The SCUBA-XT emerald green dive laser illuminates particulates in the water to project a brilliant, easily seen laser beam and dot. 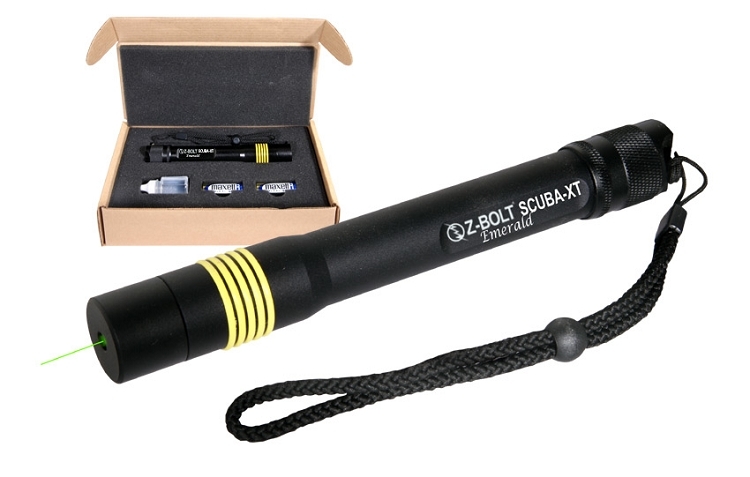 This innovative underwater green laser pointer is salt water proof to 200 feet. Interact with marine life; use to signal your dive partners; point out marine life and objects of interest hundreds of feet away depending on light and water conditions; interact with marine life without disturbing the natural food chain. Draw marine life out of coves for underwater viewing and photography ( many fish species will follow the beam ). Can be used on land as well; at the dock, port or marina. 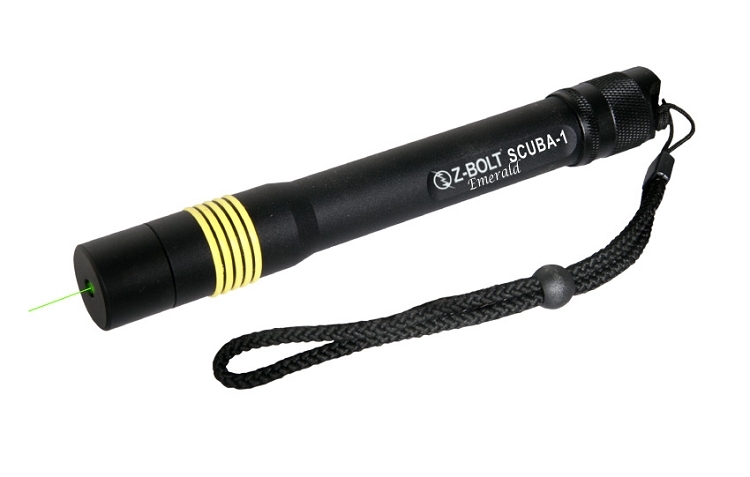 The Z-Bolt® SCUBA-XT is the product of new design technologies and manufacturing efficiencies. Z-Bolt® 515nm laser pointers are fabricated with InGaN semiconductors, which emit green laser light without frequency-doubling. Green laser is eye safe - ANSI Class 3R and FDA Class IIIa. The SCUBA-XT green dive laser is ANSI Class 3R, FDA Class IIIa. The SCUBA-XT operates best at temps of 14° ~ 122°F, superior to a standard green laser. 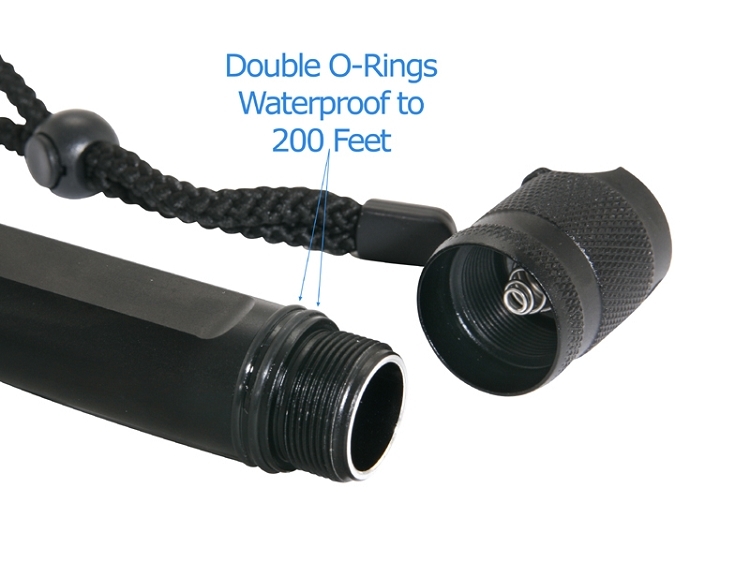 The SCUBA-XT is constructed of anodized aircraft grade aluminum; features constant on/off twist activation; includes a free wrist lanyard; and ship with a small bottle of oil to keep environmental o-rings soft and pliant. 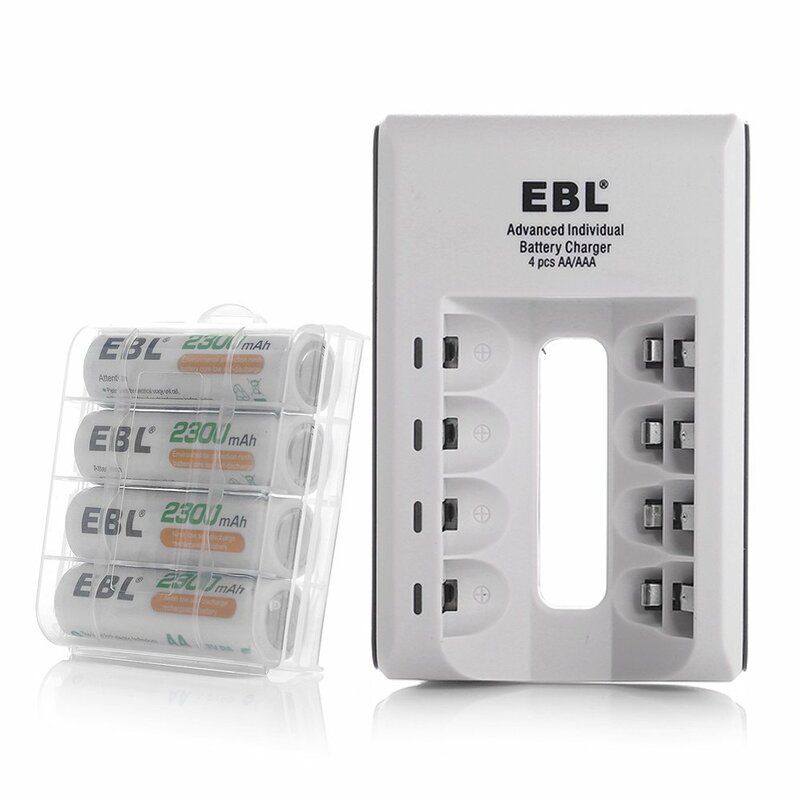 Power supply - 2 pcs AA batteries (included) Laser activates when cap is fully screwed on - back off end cap 1/2 turn to deactivate.